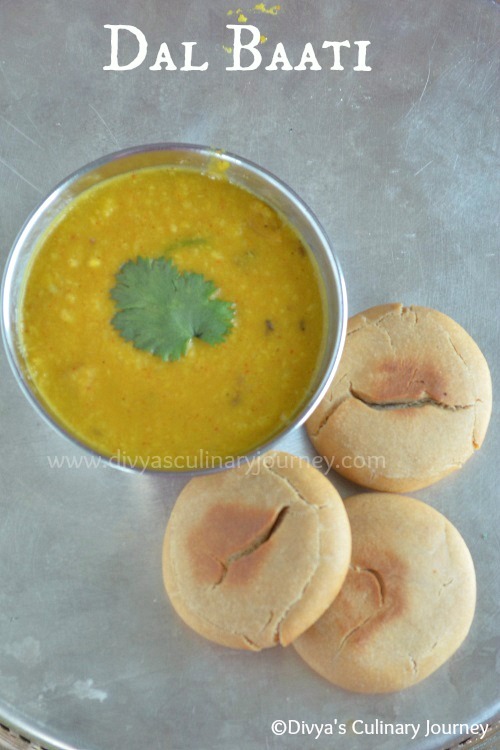 Today I am posting yet another dish I prepared for the Rajasthani Thali, the famous Dal Baati. No Rajasthani Thali is complete without this dish. 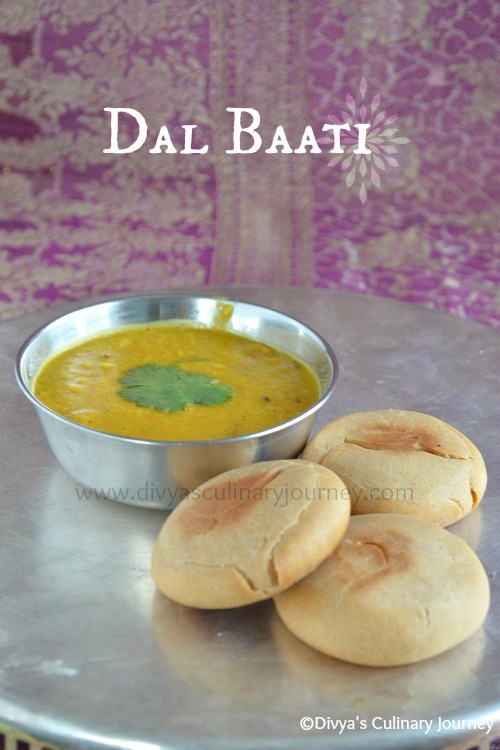 Baati is a baked flaky bread served with Dal. Here the bati is rolled and baked in the oven and fried. But there is also another method where it is boiled and fried and served. Will post the recipe using that method later sometime. Mix wheat flour, salt, add water and ghee,knead to form a stiff dough. Divide this equally and roll them to small balls. Pre-heat the oven to 375 F and bake these balls for about 15 minutes or till the top is lightly browned. Take it out and serve it with Dal. Baati can be fried in ghee after being baked to give it a even color. But I didn't do it. I just brushed it with ghee. Baati is dipped in ghee, so that they absorb most of the ghee. 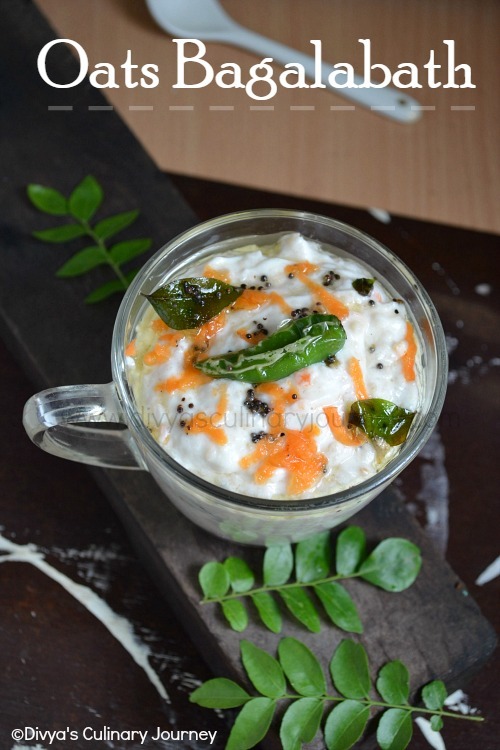 But if you are not comfortable with it, then you can drizzle ghee on it when it it is still warm and serve. Pressure cook Moong dal. Wait till the pressure is released, mash it and set it aside. Heat oil in a pan, add cumin seeds and then green chillies and fry for a minute or two. Then add turmeric powder, chilli powder, asafoetida and ginger-garlic paste and saute and then add the mashed dal and add about half a cup of water and mix well. To this add garam masala to this and let it cook for about 6-7 minutes in low flame. Turn off the heat and garnish with cilantro and serve. Using green chillies are optional. Adjust the chilli powder if you are not using it. Nice clicks, dal baati looks delicious. Both dal and baati makes a prefect pair,looks fabulous sis. Delicious looking dal baati...makes me drool.. This looks so simple but I know how yummy it is. Delicious dal baati.. Perfectly made..